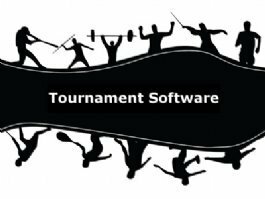 The director has the option to add additional tournament registration items to purchase when the participant is entering. The items show up on the registration online summary page, where they select the quantity and the balance is updated to reflect the additional items. Create additional tournament registration items by giving them a name and a short item description. Then set the maximum quantity that can be purchased along with the price per item. There is an additional option to upload an image of the product that the entrant will see before making their purchase decision. The sequence of how they are displayed can also be set so certain items appear at the top of the list. Common additional tournament registration items that a director may add would be things like a guest meal or banquet ticket, extra tournament T-shirts, donation to a juniors program or other charitable contribution, sponsors can select a sponsorship package, and pro viewing tickets can be sold. The added tournament registration items can be edited at any time and can also be removed if they are no longer desired. The director can view the purchased tournament registration items in the accounting section.